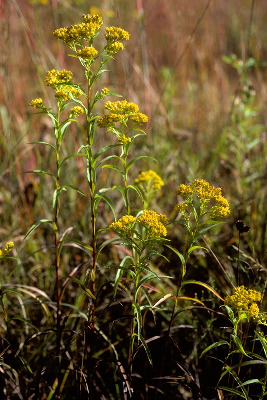 Fens, wet prairies, shore meadows, moist ground around lakes and along rivers. The distinctive narrow, curved (arcuate), infolded leaves are suggestive of Helianthus maximiliani. The leaves taper narrowly to an acute (but callus-tipped) apex, and the lower ones are often withered by flowering time. MICHIGAN FLORA ONLINE. A. A. Reznicek, E. G. Voss, & B. S. Walters. February 2011. University of Michigan. Web. April 21, 2019. https://michiganflora.net/species.aspx?id=465.